Find out what's happening at BRODO Kitchen. 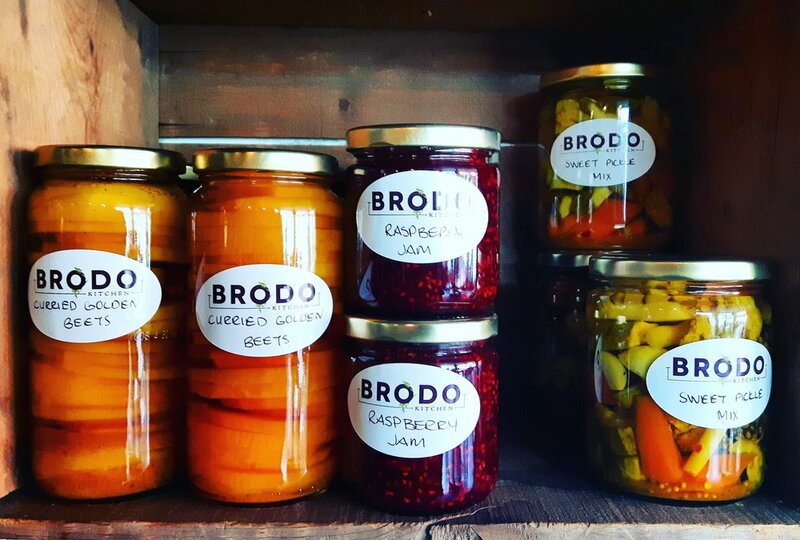 Did you know…BRODO has dinner features every Friday and Saturday? Book the BRODO team for your next event, big or small…leave the cooking to us. Happy holidays from everyone at BRODO. We’re looking for a new team member to join us as our banquet chef. Armed with a fantastic dish, Okanagan wine, and a lot of local support, Chef Paul Cecconi of BRODO Kitchen in downtown Penticton is heading to Victoria with a culinary team to compete at round one of Canada’s Great Kitchen Party. Formerly known as Gold Medal Plates, Canada’s Great Kitchen Party hosts regional chef competitions around the country, culminating in the Canadian Culinary Championships in early 2019 in Kelowna. Welcome our summer student, Cameron! Drop by and say hi to our “locally-sourced” summer student! Join us as we celebrate five years! Thank you for your support, and make sure to enter our Castanet contest to win $200 to #tastebrodo! Image courtesy of Gold Medal Plates. An invite to Gold Medal Plates! Book us for your next special event! Planning an event? Welcoming a larger-than-usual number of visitors? We can host you in our space anytime -- weekdays, weeknights, weekends -- or at the venue of your choice, with a delicious menu, catered to your needs. We are so excited to bring you some fresh new menu items! As we wrap up 2017 and prepare for our annual break, we want to wish everyone a Merry Christmas and Happy Holidays. November was a good month for soup competitions and bringing awareness to some worthy organizations. The bounty of summer and autumn harvest is safely preserved for you to take home! Come create hugs in a bowl. Have you met our sous chef Liam? Let us entertain you and your guests! Special event this summer? Entertaining a group of guests? Leave the cooking -- and the dishes -- to us. Bring them to BRODO for an evening. Chef Paul was thrilled to be asked to be part of Destination BC's new Journey project, check out the video, part of exploring the Okanagan. Start your culinary career at BRODO! We're hiring for the busy spring and summer season in the South Okanagan. Our family wants to thank all of our patrons for a great 2016! Thank you for coming in to taste BRODO this year, for letting us cater your special event, picking up our preserves and treats, and for your support of our business. We will be taking a break as of Christmas Eve, opening up on Tuesday, January 17, 2017. While we're on a break, we'll be making some modifications in the back work space to create more storage and cooking areas. We may even ponder a special event or two back there...next year is going to be great, our catering calendar is filling up already, which is also a good reason to create more space. We have enjoyed serving you and our community this year, and wish everyone a safe, warm, and tasty holiday season. Open 11am to 8pm Monday through Saturday for lunch and dinner. Closed Sundays.